Limestone, roughly carved and smoothed over. The scupture is of a lion lying on a thin rectangular plinth. The sculpture has been well preserved, except for its missing front paws and its, to all appearances, wantonly damaged face. The lion is crouching down on its back paws while supporting itself on the shanks of its front legs, so that the whole body is lying on the ground. Its head is raised and looks forward. The damage it suffered means that the carved details on the head can no longer be made out. A shallowly chiselled mane of short, outward-rolling curls frames the lion’s face from its ears down to the neckline, reaching over its shoulder and down along its back. 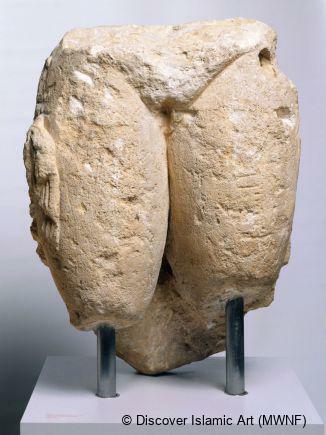 Its ribs and the outline of its chest are characterised with flatly rendered indentations. Its hindquarters, over which its tail rests, are virtually round. The paws are especially long and wide, and lie close to the body. The pose of this sleek animal suggests that it is intently alert. 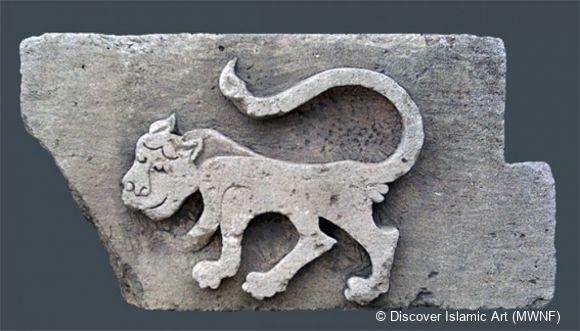 It is possible that lion’s paws that have been discovered separately belong to this sculpture. However, they could also point to the existence of a second sculpture that was intended to complement this one symmetrically in the audience hall of the palace. 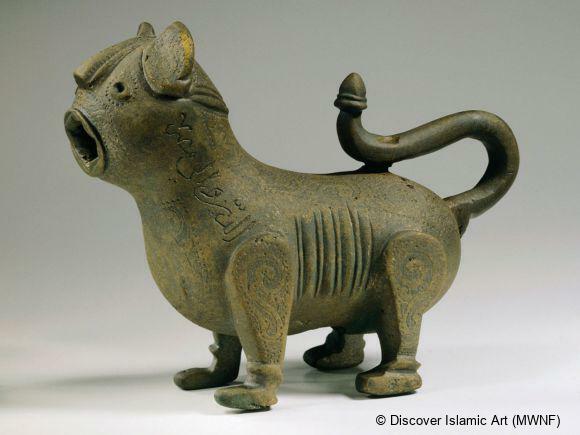 Lions were an important iconographic element for rulers in Late Antiquity and the Sassanid period, which led to the Umayyad caliphs upholding and pursuing this tradition. This is made particularly visible by the two lions on the podium of the standing caliphs in Khirbat al-Mafjar, which demonstrate that this tradition flourished during the Umayyad period. 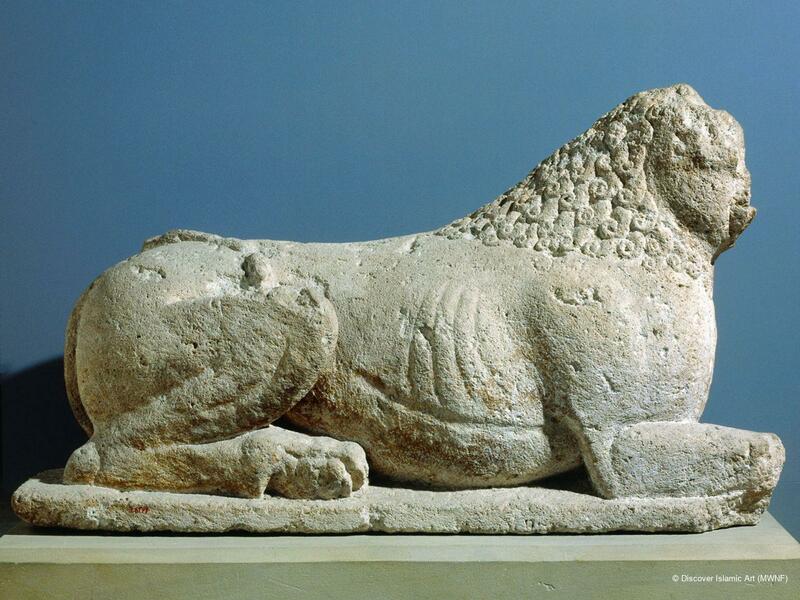 Similar freestanding lion sculptures from the Umayyad period have yet to be discovered at other sites. 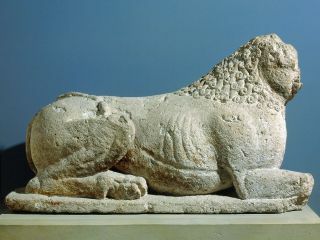 This majestic lion was found inside the walls of the Palace of Mushatta in Jordan in 1903 in the vicinity of a building complex which may have been planned as an audience hall. 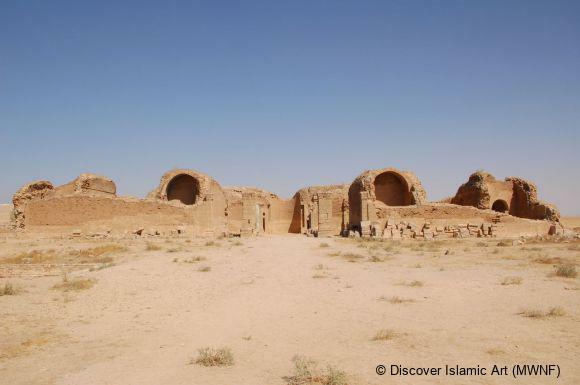 Lions were associated with power and strength and were thus appropriate symbols of power in the palace of a Umayyad ruler. 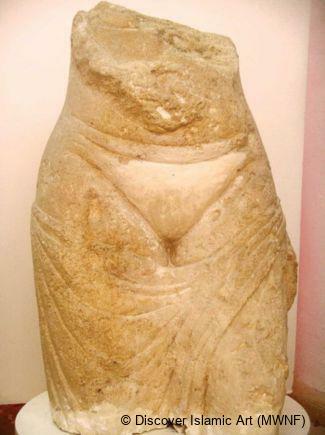 The provenance of the object was substantiated through its discovery during the salvage operation of Qasr al-Mushatta in 1903; therefore, it appears to be from the same period as the façade. Acquired as a gift from the Ottoman Sultan Abdul Hamid II to Emperor Wilhelm II, who presented it to the Royal Museums in Berlin in 1903. 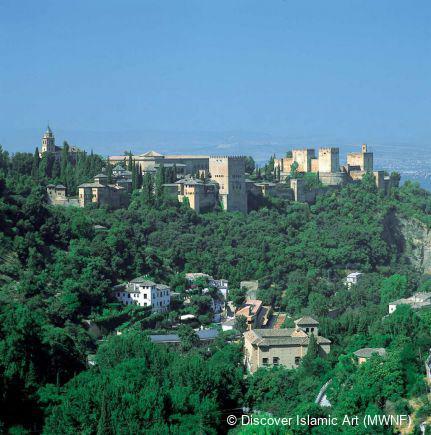 The provenance was guaranteed through its discovery during the salvage operation in Qasr al-Mushatta in 1903. Hamilton, R., Khirbat al-Mafjar: An Arabian Mansion in the Jordan Valley, Oxford, 1959, pp.228–32, plate LV,1. Museum für Islamische Kunst, Mainz, 2001, pp.117–25. Schulz, B., “Mschatta. I: Bericht über die Aufnahme der Ruine”, Jahrbuch der Königlich Preuzischen Kunstsammlungen 35, 1904, pp.205–24, plate I.
Trümpelmann, L., “Die Skulpturen von Mschatta”, Archäologischer Anzeiger 2, 1965, p.246, ill. 25. 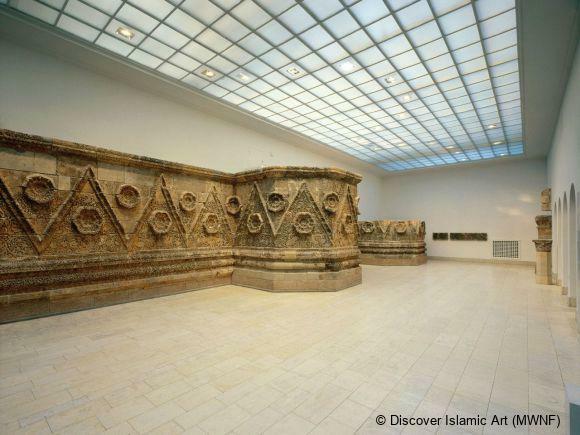 The Umayyads: The Rise of Islamic Art, pp.114–17.